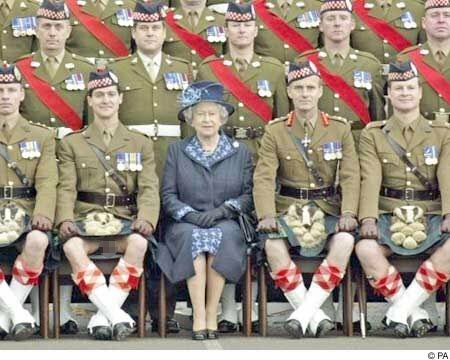 Nothing is worn under the Kilt. It is all in perfect working order. I don't know... I daren't look! Same as yours, only bigger! How warm are your hands? Me mother once told me a real lady wouldn't ask. She was right, God bless 'er. On a good day, lipstick. Play your cards right and you can find out. A wee set of pipes. 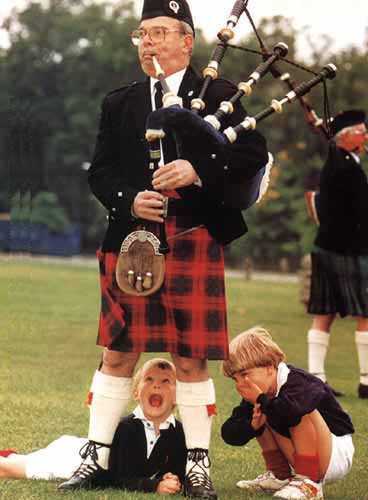 Bagpipes, wanna give 'em a blow? It's the smallest airport in the world.....2 hangars and a night fighter. 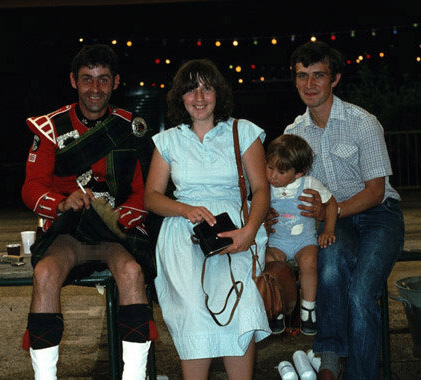 String -- I had to tie it up so it didn’t hang below the kilt. The real answer is that there is no band ruling and, if you can imagine it, somebody is probably wearing it. Or not wearing it, as the case may be! 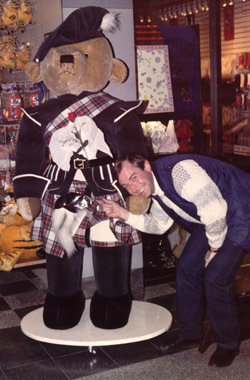 George Sands demonstrates what is under his kilt during a visit to Auxerre, France in 1982. 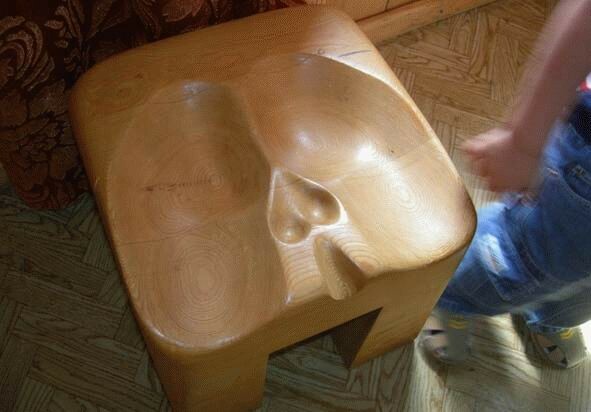 Maybe this stool belongs to him? ....and shouldn't you stand to attention when next to the Queen? They marvelled for a moment, then one said: "We must be gone. Around the bonnie star the Scotsman's kilt did lift and show.